Distlytics Ltd was formed in 2016 by Gary Nuttall who saw the massive potential of Blockchain / Distributed Ledger Technology. 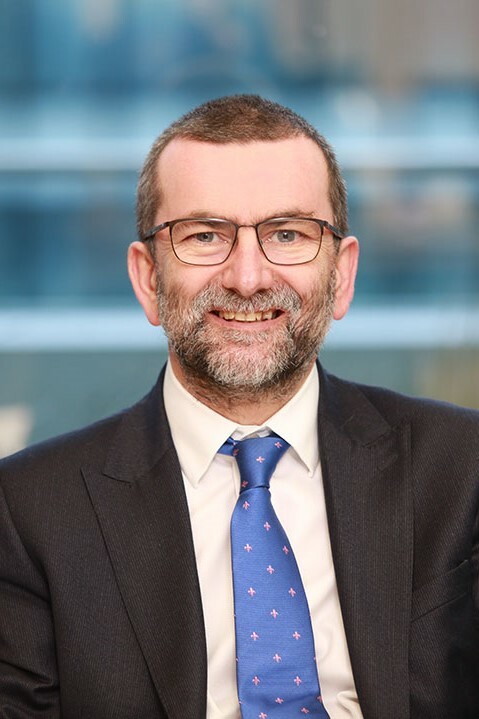 Gary is well recognised in the Blockchain / Distributed Ledger Technology arena, with particular expertise in the commercial insurance and legal sectors. 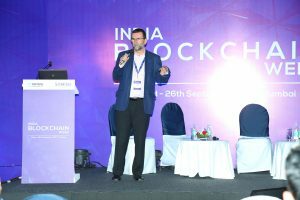 He is listed in the “Top 100 Blockchain influencers” list and has presented at numerous conferences and events since 2015. A list of events is available on request. He writes articles for magazines and thought leadership blogs on a number of emerging technologies, with a particular emphasis on blockchain. In 2016 he was commissioned by the London Market Group (LMG) to investigate Blockchain/DLT and its potential use in the London Commercial Insurance Market. The LMG is a market-wide body, bringing together the specialist commercial (re)insurance broking and underwriting communities in London. It is supported by the International Underwriting Association of London (IUA), Lloyd’s of London, the Lloyd’s Market Association (LMA) and the London & International Insurance Brokers’ Association (LIIBA). His remit, as part of the London Market Target Operating Model (LM TOM) Innovation workstream extended to explore and educate additional emerging technologies such as Robotics, AI, IoT and drones. His initial analysis identified over eighty prospective candidate use cases from which he defined a methodology to reduce down to a shortlist of five prospective targets for extensive analysis. Of the five identified, two business processes were selected to run Proof of Concepts (PoC’s) to determine representative impact of using Distributed Ledger Technology in the London Market. The PoC’s involved working with brokers, underwriters and Lloyd’s of London personnel. It included liaising with the various stakeholders, undertaking interviews with market practitioners, co-ordinating workshops and identifying (and subsequently engaging) prospective suppliers/vendors/startups to partner with. Once vendors were embarked, he managed the PoC’s acting as LMG client representative and providing project management. After the PoC’s he was then tasked with writing a series of papers about the work undertaken, in addition to additional research performed by other organisations, on the potential impact to the market. The assignment concluded in 2017 with the production of a recommendation paper for the client’s programme executive. Early in 2017, Gary undertook an investigation with a provider of technology services and standards in the Life & Pensions sector. This was to identify opportunities for Distributed Ledger Technology adoption. It involved working with senior executives and managers to establish a high level set of candidate business processes. 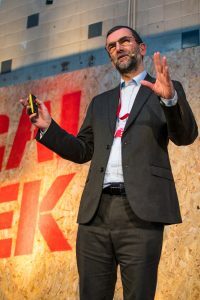 From these a shortlist of target Use Cases was developed and a set of to-be scenarios developed in order to identify opportunities and challenges with using the new technology. The assignment concluded with a board paper providing an overview of the technology, its potential adoption in the company and a series of strategic recommendations. Gary is former Chair of the British Computer Society (BCS) Business Information Systems Specialist Group of which he remains as an active committee member. He is Chair of the TechUK Insurance & Pensions Working Group, a member of the TechUk Distributed Ledger Working Group and a founding partner of Team Blockchain (a growing Blockchain virtual consultancy service). He maintains an active involvement in blockchain/Distributed Ledger Technology through his advisory role to Blocksure, an Insurance Technology startup. He is regularly requested to provide advisory services to startups using Initial Coin Offering (ICO) to fund raise. In September 2017 he set up the ICO Meetup London group (which now has over 800 members). He continues to provide education, advisory and consultancy services through Distlytics Ltd, the consulting firm that he founded in 2016. In September 2017 he helped to set up and remains the technical advisor to ClydeCode – an innovative consultancy bringing together the legal expertise of Clyde & Co with the emerging capabilities of Smart Contracts. If you would like to find out more about the services that can be provided, please email web@distlytics.com. Distlytics Ltd was formed in 2016 and is a company registered in England & Wales with company registration no. 9983201. Registered office: 19-21 Chapel St, Marlow, United Kingdom, SL7 3HN.